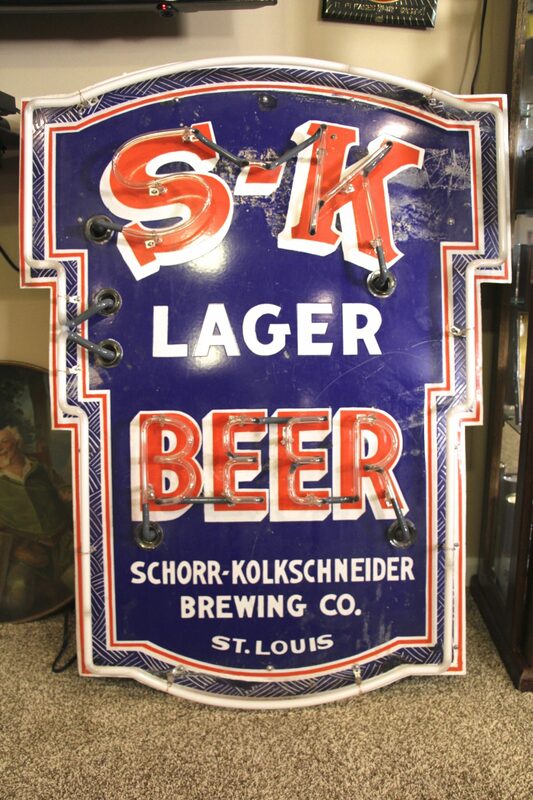 Ca 1935 Schorr Kolkschneider Neon Porcelain Sign on the Original Can. 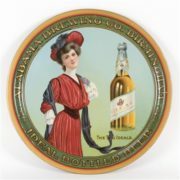 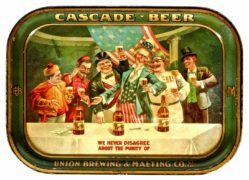 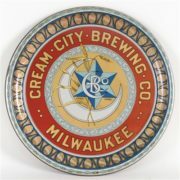 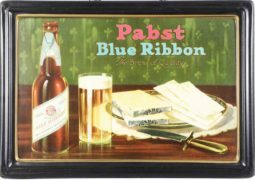 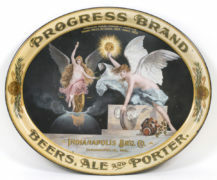 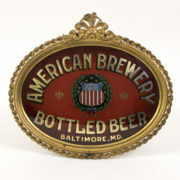 This brewery was based in St. Louis, Missouri and was in business before Prohibition and again after Prohibition until 1939. 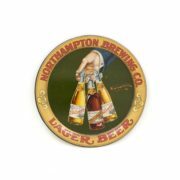 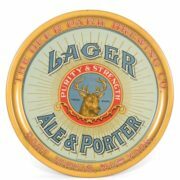 SK lager was their main brand, but they had others including Vat, Cabinet, Schorr Select, and Schorr Bock as a few examples. 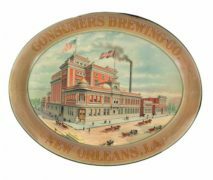 The Schorr family had breweries in Saint Louis, MO, Memphis, TN, Waterloo, IL, and New Orleans LA also in the U.S., but their brewing heritage goes all the way back to the middle ages in Bavaria Germany before they came to the United States in around 1850. 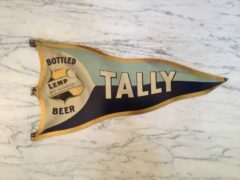 This particular Porcelain sign is single sided, and their is a sister sign to this with their VAT brand advertised on it also from the 1930s.